Is it worth Switching up? This week The Legend of Zelda: Breath of the Wild released simultaneously as both a Nintendo Switch launch game and the Wii U's swansong. Already praised as one of the greatest games of all time (we also gave it top marks in our review) history is repeating itself with a Twilight Princess scenario for consumers. Do you stick with the same console hoping the difference is minimal or upgrade for the 'best' experience? Digital Foundry has done its pixel and frame counting to help with an answer. Running the game in a side by side comparison, Digital Foundry re-emphasized the resolution difference between the two, with the Switch version at 900p and 720p on Wii U. You can also see a difference in lighting throughout the video. Apart from that everything else appears close across frame rate, draw distance, model quality, shadow resolution and texturing, giving re-assurance to Wii U owners that they are not deprived of an amazing experience. Both have a frame-rate of 30fps. Having tested both versions of the game myself, I personally observed slight framerate drops in both copies and eventually gave into the Switch from the notion of taking the system anywhere. When blown up on my widescreen TV I did however immediately feel enough of a difference that I felt my purchase warranted; deeper colours are also helped on the Switch by its support for a full RGB range on TVs that support it. Our own editor Thomas Whitehead previously spoke about his first few hours in Hyrule on Wii U, giving his impressions; we had praise for the Wii U iteration. What's interesting on the Digital Foundry video is the demonstration that frame drops aren't in consistent places, showing how the running of the engine prompts stutters at different points regardless of hardware. Both entries suffer from this, and we hope that Nintendo follows the example of other developers - such as CD Projekt Red - in exploring improvements for updates to smooth out performance. Open-world console titles often have teething issues early on, but hopefully there's room for improvement. As a project that was primarily started for Wii U, Breath of the Wild is - at least - delivering a solid experience on the system. As a result Nintendo fans don't necessarily need new hardware to play a contender for best game in the series. How are you experiencing Breath of the Wild? What system are you playing on? Leave us a comment. Just makes me even more delighted in my Wii U purchase of the game. Edit: The game not getting a Special Edition or Master Edition on the Wii U was a real slap in the face of us loyal owners(who had to wait an eternity due to the Switch) and a shameful way to send-off the console. Not just because it's the last game but also because it's the Wii U's best game. This version was completely shunned in the run-up to release. For God's sake abominations like Animal Crossing: SCamiibo Festival and others got more love with retail packaging. Edit again: Gamespot have a comparison video as well. Got the Wii U version, but more as a collectible. It's the last real game Wii U will ever see, but for Switch it's only the beginning. I remember saying I'd do anything to have a game like Metroid Prime on the go. Would certainlu buy a system for that. But BotW easily dwarfs Metroid Prime. Having this game on the go? One of the best video games of all time... and having it without compromise- the full console version? And being able to pop the controllers off and play in console luxury anywhere? I bought the Wii U version and i'm loving it so far. Honestly right now the Switch is just not worth it. Perhaps when more compelling games release, like Mario Odyssey and Xenoblade 2, I'll get it. I bought the Wii U version, it's fine. I'm enjoying the game very much. So literally no reason to get a Switch then. @SLIGEACH_EIRE I agree (although special versions don't interest me), but what's even a bigger slap in the face is that they took out support for the Gamepad screen. It's literally the only Wii U game I've ever seen where the Gamepad has no function. Even when you type in text, you have to do it on the big screen, which is ridiculous and totally non-conform for Wii U games. I'm still very happy about my decision to buy the Wii U version and to not buy a Switch for now. JaxonH: Actually, there are still some decent games coming for Wii U, so it's only Nintendo's last real Wii U game. But I get what you mean. @shani I guess you haven't place DKCR: Tropical Freeze, a game that came out in early 2014.
the screen doesn't even light up on that game unless you choose off screen mode. I'm very happy both versions are similar. The DLC is coming to the Wii U version too, right? @Yasume Except the reasons outlined in the video. I'm playing it on Wii U, picked it up from the midnight release at my Gamestop, and I mostly play on my Bravia in my room. I tried switching to the Wii U gamepad off-tv mode and found the game a little hard to enjoy. The intense colors became a bit flat and dull looking, plus the world wasn't this massive bigger than life experience anymore, it was too small that way, so I'm back to the Bravia exclusively. I haven't tried it on Switch but the performance (other than some bad drops in my first town) is fine on Wii U. Nintendo did a fine job optimizing this for both platforms, I'd say, because they did not want to deal with accusations of dropping the ball on purpose to sell a new system. Thanks, Ninty. Got the Wii U version, just as I always intended. Won't be getting a Switch for another year. There's really no reason for me to buy that system right now. I am pretty sure I will double dip of BOTW though. It's perfectly fine on Wii U. Frame rate drops every now and then, but that's to be expected from a game this large that has so much going on on-screen at times. I did have it freeze up for about five seconds after I killed an enemy though. That said, I'm enjoying the game. Played it all day yesterday and played a little bit this morning. If I didn't have to go to work in an hour, I'd probably have another all day affair lol. I have a feeling the Wii U version is going to be collectible somewhere down the line, just as Twilight Princess on Gamecube is more collectible than the Wii port (it was also the best version of the game, up until the Wii U rerelease). I have both and the Switch version is far superior to me, both on the TV and off. In particular, several areas after the Great Plateau are really choppy on Wii U while the Switch docked seems to smooth out after the GP. Also, the Wii U is prone to locking up for several seconds at times. Another thing to consider is that you need to use the Gamepadin parts of the Wii U version whereas you can use the pro controller the entire game on Switch. I would not recommend the Wii U version unless forced to settle. Besides the Switch is quite an impressive device, certainly surpasses my expectations. @H_Hunter If they are like me, they are so blown away that the massive world in this game isn't just there to pad the game as a way to boast about its size, the world is the game, and so frame drops in a couple of isolated areas or intense weather (which I haven't experienced yet, just some rain) is easy to forgive. You can't start out in a direction in this game without quickly finding a quest of some kind to absorb all of your attention. The controls are perfect as well. Hard to gripe about some frame drops and not recommend this masterpiece. Lest we forget, Ocarina of Time had a horrible framerate, and it has a higher critical rating to this day. @JaxonH I agree, having both versions really emphasizes how unappealing the Wii U version is in comparison. Something to keep in mind about how BotW drops frames is that it is usually fairly clean drop to a certain number which it operates at for a short time until refreshing back to 30, this is less obnoxious than when a game displays a more inconsistent framerate, regularly operating in a range from, say, 24-30 but rarely sticking at a consistent number. This is likely why BotW's frame drops are not being regarded as significantly hindering the gameplay and are fairly easy to look past for most gamers playing the game currently. I got it for my good old Wii U since both versions have fps issues, and looks 99% same. I got both in case I couldn't get a Switch, so started the Wii U version while wondering where the hell my console was. I've now switched over to the Switch version to give the console a bit of a test. "On balance, based on video and audio quality, the Switch version is the one to buy. But it's the narrowest of victories, with resolution the key differentiating factor. The improvements are surprisingly minor given the gulf in potential system power comparing the Wii U to a docked Switch"
People saying that the Switch version is vastly superior are only trying to make themselves feel better for forking out £280 for a console that hasn't got that many games. Nintendo should've held out until December to launch and then they could have done it with a bunch more games. Awesome. I'm glad Wii U owners are getting the real deal, too. I do hope that it also means Switch has a higher upper limit when games are built for it from the ground up. Mario will probably be the first game to show us this. Maybe Splatoon 2. I bought the wii u version to keep unopened on the shelf. I'd play it, but they gimped the gamepad functionality. My switch versions is all ready to go once I get home. @PotatoTheG Yep!! Wii U not left out at all, just hope the DLC is worth it, we have to wait and see. @Stubi Zelda is helping sell Switch now. Sales look like they are doing great with the current library. So... why wait again? I mean, for who would that be good for? People who want to wait for more games still can and the value will likely be better to boot by then. Seems win-win so far. I guess if sales come up very short at this launch it might be worth considering, but the gulf between other gaming hardware and the Switch is only going to widen over the next couple years as more games support the boosted versions of PS and XB. Holiday 2016 would have been ideal, but Nintendo couldn't swing. So, here we are and I'm having a great time. This is just pathetic. There's no justification for why they couldn't take advantage of the much more powerful hardware on the Switch. No one cares whether Wii U owners would have gotten a gimped version because the tiny userbase makes the system less important. All that extra power in the Switch dock just isn't being put to use. @JaxonH I so agree with you it was well there really are not words for how amazing it was to be playing Zelda yesterday and then take it with me on the go the Switch is amazing it definitely has that Nintendo has made something special again feeling and I like my Wii U no plans on getting rid of it but I love the Switch especially when you think about the possibilities of things to come and it truly feels like an awesome high quality piece of tech great job and kudos to Nintendo for making an awesome console once again. Well I see hardly any difference when I just casually watch the screen as I would in-game. Yes, I can see the difference when I look closer and focus solely on spotting the differences, but they're so marginal that you can't possibly see them while you're focused on fighting, exploring or even just enjoying the view (because even then, your focus is a different one). And it's easy to explain why that is: The resolution of the human eye - it doesn't work exactly like computer screens, but bare with me - is actually only really good in the center of your field of vision. Everything outside the center is - in PC terms - interpolated, there are even blind spots. So, does the Switch have better graphics? Yes, but only very slightly. Does it make an actual, noticable difference while you're immersed in the game? Probably not. I actually would've expected a bit more from the Switch - despite me saying for months that a tablet/smartphone chipset can hardly beat the Wii U's hardware in terms of performance. Seems like that is exactly the case. They Switch is only slightly more powerful than the Wii U, just as the Wii was only slightly more powerful than the Gamecube (the difference between N64<>GC and Wii<>Wii U was a lot bigger). I too got both versions and agree with your assesment. Its is an unreal swansong for WiiU but even better on Switch. Its just an awesome game and even looks plays well on gamepad @480p. Think about this though. Devs on ps and xb have been making and refining their engines for more than a decade. This is N's first ever dev of this type and this engine is incredible (esp. when conidering both these systems have modest cpus). It renders so impressively near and far and has so much going on. On Switch docked the lighting as it relates to color is the best I think I have ever seen. Have you noticed that when the weather changes it effects the 'color' of the entire landscape which is uber-realistic. First open world eninge, took them 4 yrs but look at reult. This game has evolved and matured N and shows they can create AAA games with the scope of any major western dev. Please N bring us an OW Metroid game and I would love to see an OW Starfox that merges GC SFA elements with OW land/air vehicle combat like WiiU version. I have played about 9hrs on Switch docked and 3 on WiiU on gamepad. I may actually play it on both as it can create such different experiences on different play thrus. Easily the best Zelda and maybe best game yet made, but I gotta go finish it before I claim that. I guess that decides it then. I'll get it on Wii U and wait on the Switch purchase. If it's as good as everyone says, I'll just buy it again on Switch for a subsequent playthrough. Awesome that they are comparing both versions and that both versions are performing well on their respectable systems. I really wanted to buy the Wii U version to support the system in it's last days but couldn't resist the portability of the Switch. For a game that's going to take many hours of my life, I love the fact that I can put in work while on the go while not being confined to a single room to where my Wii U is. On that note, after a full 24 hours with the Switch, I've concluded that the Switch is pretty much a sexier Wii U (with no Miiverse, web browser, nor video streaming apps at the moment) that can be taken anywhere. If gaming on the go is not your cup of tea, the Wii U is a great system. If you want the portability, then you go with the Switch. I bought the Switch version and even though I'm a NON-ZELDA type gamer, I'm enjoying it so far. Really cool! I gotta say if the Switch didn't have this game for Launch, there'd be nothing but crickets day 1. What a debacle!! Oh Nintendo when will you learn? I'm surprised that the Wii U version is doing ok, Because Watch Dogs on the Wii U was terrible, Wii U struggled running open world games. I might buy the Wii U version as a collectors item. Hopefully I can get a Nintendo Switch some time soon because, I would rather play BOTW on the Switch. Absolutely no reason a Wii U owner should upgrade to Switch for Zelda. Playing the Wii U version now and it's just fine. Not having the Switch version to compare every pixel and scene side by side probably helps, because what fool buys both? Lots of folks justifying their $300 Zelda machines in here though. "Is it worth Switching up?" No! The Wii u version looks great, plays great, loading times aren't that bad, almost no slowdown (yesterday I had very minimal slowdown, today I experienced zero slowdown). 5 (or so) hours in, no problems! You can easily go for the Wii u version! "I'm surprised that the Wii U version is doing ok, Because Watch Dogs on the Wii U was terrible"
1: It was a PS3/Xbox360 game originally, and made by a third-party. Ubisoft. 2: Breath of the wild was build up for the Wii u and made by Nintendo themselves. They are the masters of their own system, they know how to bake a good running game! "No one cares whether Wii U owners would have gotten a gimped version because the tiny userbase makes the system less important"
Nah, I would have been annoyed out of my mind. And I wouldn't be the only one! It would have been a massive middle-finger to Wii u owners. Its already pathetic that they use this game to save the Switch line-up, Mario (and some other great games) should just have been ready at launch! Thank goodness both versions of the new Zelda are almost identical (and released at the same time)!! I'm getting the Switch version, but I'm very happy for those who are sticking to good old Wii U! But I kinda wish they'd allow a native 720p setting in TV Mode too on Switch. I'd rather have solid performance than a slightly crisper image. That's reassuring for me, since I'm not planning on getting a Switch any time soon. Guys, keep in mind this is not an end-all be-all. DF did not test areas later in the game that the Wii U really struggles with, if you buy the Wii U version from this video you should be warned of this. Early on, they perform relatively similar, but certain areas really tank the Wii U version and are fine on Switch docked+undocked. I'm not talking simple frame drops either, it fully locks up for seconds at times. Look back at their video of Bayonetta on Wii U vs. 360. They determined the Wii U version was superior due to similar performance and the addition of v-sync, but it turned out that later areas in the game caused significant frame drops that were not present on 360. If you have a chance play BotW on Switch. I'm playing it on the Switch and enjoying every second! The colors pop so insanely well on my TV, it's simply marvelous! @shani I agree with you about the gamepad, I've mentioned that on previous occasions. @Yasume I just played Zelda Breath of the Wild for an hour on the beach while I had my camera shooting 1 hour long night exposures. Once I press and lock the shutter button there is literally nothing for me to do. So yea there is plenty of reasons to have a Switch. I also can just bring it with me where ever. And yes the screen looks freaking fantastic by the way and it is bright enough. The way I see it, Zelda is the only major game to get right now. But relax, guys. Obviously there are going to be people that buy it at launch just like every other console. And even though I would always recommend waiting, they have their own reasons. It could simply be because they don't want to worry about purchasing it later. @HollowGrapeJ In order for a system to be successful people need to buy it period. Do you want it to flop? Maybe let people that are excited buy it so it can succeed... I bought it because I am on the go ALL THE TIME. I am out doing work in the field and if I ever want to finish a game it may be nice to have a portable console. Let's face it, a portable console is the greatest thing for people that work and travel ALL THE TIME. I'm loving the game on my Switch. It may be all there is right now, and I might have been able to play it on my Wii U, but I also want to play games like Arms and Splatoon 2 (and various indies) when they come out. Basically, it comes down to spending the money on the system now or in a few months. Either way, there will be no price drop before Switch exclusives start rolling in, so I figured I'd buy it now, play the best version of Zelda, and have it for other games in a month or two. The only way to end up with savings is to wait until Q4 this year, when there will probably be a bundle with one free game. I didn't want to wait that long. Been playing it on the Wii U and absolutely loving it so far. I'm having a hard time following story missions since I keep exploring and getting side-tracked. I'm too busy looking for Shrines and trying to get as many heart pieces as possible. I've found 12 Shrines so far. Lol buy buy buy Now that was funny but so true... I said it before if Ninty did a dump in the toilet they would try sell it ya. I'm playing on WiiU, but no matter which system you're using; it's a fantastic game. I've got it for the Wii U and think it's absolutely fantastic. @gatorboi352 - It's a big relief to know you're out there, setting everyone straight, and letting us know when we make foolish decisions. It's not obnoxious at all. Remember a few years ago when Super Mario 3D Land was released and everybody was amazed at how a portable game could look so good? Well, today that is completely blown away by Zelda. Of course the game looks great but when I pull out my Switch and take it to go, it's truly incredible. To have a game of this caliber right in your hands anywhere blows my mind. I took it to work last night and played during my lunch and it was quite an experience. I know the Wii U version will be great too, but I think my Switch purchase is entirely worth it just for this game. @joey302 Well what's there to learn since they actually did release Zelda as day one for the Switch? "What's interesting on the Digital Foundry video is the demonstration that frame drops aren't in consistent places, showing how the running of the engine prompts stutters at different points regardless of hardware." An educated guess, this is the Monolith tech from Xenoblade series, or at least code from the guts who have some of the best open-world chops in the biz. The drops are pretty obviously from loading textures and higher-poly geometry on the fly at distance, as it happens most often and predictably with the scope, and Monolith probably had little or no say in how to optimize the terrain and world design specifically for streaming like they do for their own titles. The trade off is pop-in. I've never seen it apart from an item (mushroom). At the risk of upsetting the frame-rate nazzies, think it's a smart trade. While both can be immersion breaking, pop-in is always immersion breaking, and subconsciously frame rate seems like a hardware deficiency while pop-in seems like a software coding and design deficiency, especially this earlt on in a console's life, and who knows how much of the Wii U code could really be optimized for Switch beyond general performance. @Yasume Logical, thoughtful and measured contribution as always. @bimmy-lee just doing my part. Anyone else really like the new Nintendo Life video player? I'll gladly vibe with it. @JaxonH I've had instances where I felt a little bit of Metroid Prime in this game. Mostly because of the tech in the game. Really hope prime 4 is on the cards and by a capable company at that. I have to laugh at the 'full rgb' statement. A simple TV Calibration is all that is needed. This is coming from my own experience with high end TV's that support true 'full RGB.' Many TV'S thst claim to support suffer from crushed blacks in full RGB mode, losing all the detail in blacks and intense contrast which initially fools you into believing the picture is better. Full RGB, limited RGB it doesn't matter at all. It has that open ended, figure it out yourself game structure with light puzzles everywhere... it has a very strong vibe in some instances. And yes, Nintendo blew the lid off with this game as a Switch launch title. But they need to make sure it's not the only one. Before the generation is over, they need a handful of big, AAA 1st party releases that just smash through the review scores like a truck. Metroid is definitely one that needs to happen, and it needs to be big, and flashy and high production values like Zelda. And it needs to be good. Mario Odyssey might be another. The return to open nature could hype up a Mario 64 level of excitement if done right. And, any number of other games could step up, like the new Fire Emblem or Xenoblade Chronicles 2. Even if they're not quite on the Zelda level, they need to step up. Switch needs to bring the heat. Big, strong, solid releases year round. @SLIGEACH_EIRE Completely agree mate. Nintendolife have been a disgrace aswell trying to shamelessly promote the Switch edition with its non upgrades over Wii U. Just goes to show how Nintendo work. @garthvader I want the system to be successful. But if it doesn't sell well, that's because Nintendo didn't convince enough people to want it. I cancelled my pre order at the midnight launch because I still had this for the Wii U on order, and I couldn't bring myself to buy the Switch for literally just one game that I can play elsewhere. Especially seeing as my back catalogue of games is enormous too. Nothing against the dual launch though and will undoubtedly pick up a Switch in the Summer with Bomberman, Fire Emblem Warriors and Splatoon 2. @Gatorboi352. I agree with you on that about trying so hard to compare purchases of both version to justify a 300 dollar machine. Personally the differences aren't enough for me and I'm more than happy to stick with the Wii - U version of Breath of the Wild and skip on the switch all together. I feel that the Switch is waste of money and nothing but ports of Wii - U titles when it comes to first party and people can argue and say well what about Mario odyssey. That is the only Mario game I have ever not been interested in and think that the setting and the backgrounds look odd, weird and out of place. I don't mind mixing it up like Mario Galaxy but Odyssey just looks off putting to me. No reason to get a Nintendo Switch when most first party games you can play just fine on the Wii - U and you will save around 500 - 600 dollars by not buying new hardware and all the peripherals and yet your still without a game. All the side by comparisons I've seen there is a slight improvement on Switch but no reason to buy the same game again and again for such minimal differences what a waste of money. 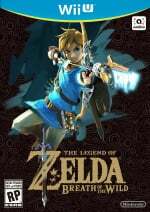 Amazon sold completely out on Wii - U breath of the wild only private sellers selling it on there but the Switch version at least the standard version is available from amazon. Wouldn't it be funny and a slap in the face to Nintendo if the Wii - U version out sold the Switch version of Breath of the Wild. Hey, remember when we saw some footage of the Wii U version, and everyone was panicking and having comment wars over if the Wii U version would be gimped, even after it was said that the quality was because of the stream. Anyways, I only got the Switch version, but it is good to see that Wii U owners aren't at a disadvantage to enjoy this gorgeous and incredible game. @Rman12 well there is 13 million Wii U owners out there- I would expect the Wii U version to sell better than Switch. As a Wii U owner, I was constantly starving for high profile retail releases so any Wii U owner will eat this up. In fact many will be cleaning the thick dust off their Wii U first. I grabbed the Switch version and will get the Wii U version some day for collection purposes. @Joey302 I didn't mean in the beginning because Switch is just starting and their is a bigger Wii - U base. I meant after the Switch console has been around for awhile at least a couple of years or so and it gets out sold by the Wii - U version of Breath of the Wild which was held back because of the switch and barely had any advertisement at all. Even the Wii - U e shop when a game is usually a big title will have it listed and its price and when available but this game didn't even show up until march 3 , 2017 in the wii - u eshop which is odd for such a big title. I meant the slap in the face to nintendo because they held back any advertisement even in the eshop for the wii - u version and i would find it funny if in the life of the switch the Wii - U version outsells it. I am a Wii - U owner that has no desire or reason to go to switch. I will have to say that I had decided early on not to buy a Wii U and BotW was never going to make me pick one up. While it was definitely a slap in the face to existing Wii U owners to have the game dragged further away from them... from purely a business sense it WAS the best move. There are not a lot of Wii U owners out there & BotW was never going to sell the console to those who had not already picked one up. However, Nintendo needs to sell it's new console and I see gamers in general being MORE likely to buy the Switch with it's life ahead of it to play BotW than a Wii U that was unfairly cut short. 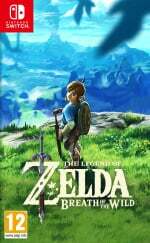 My real question is: Was BotW made better (given more time/budget) than it might have been BECAUSE it was brought to the Switch? The pain Wii U owners feel is correct and unfair, but that doesn't mean Nintendo didn't make the best decision for their future (and future fans?). @LeRaposa it's because the Switch isn't much more powerful than Wii U. This is obvious from looking at the current games. No reason Splatoon 2 and Odyssey couldn't be on Wii U, other than to push their new system ofc. I'm playing it on the Wii U and it's been amazing. @Mogster I think that's a case of bad logic there, most initial investigations estimate that the Switch IS closer to the XB1 than the Wii U... but you need to remember that most of the games out for the Switch right now were likely in development for the Wii U originally. Also you're comparing a console at the end of it's life when every drop of power has been tapped... to a console that's been out for 2 days. Hardly a fair comparison at all. @joey302 I'm definitely gonna wait on Splatoon 2, as much as i love the game, it will probably not have a lot of content on launch. I'll probably get a Switch around the time of Mario and Xenoblade. That will make it worth it, 100%! It's so weird for me to hear that. I mean isn't the Nintendo thing that graphics aren't important so it doesn't matter that the Switch isn't close to power as the PS4? But now we are arguing very minor differences make the Wii U verzion unenjoyable? I dropped 4 hours on the Switch version launch night (did the midnight launch with my friend for his system and game) and just did 2 hours on my Wii U version today (stupid Amazon didn't get my version out launch day like promised). I can honestly say that both run great. The Wii U version has some framerate drops in different areas than the Switch version as the video says but the experience is just as enjoyable on both versions. No different than other open world games on other systems so I don't know why Nintendo is catching flack when titles like Skyrim and Witcher 3 have the same kinds of framerate issues and people don't obsess over (typical double standard stuff). The clarity is a little lower on Wii U due to resolution differences but it's still a gorgeous title on both hardware. If you have a Wii U, I can safely say that the Wii U version is just fine and a safe option for those who don't want to upgrade hardware yet. An interesting note is that amiibo scanning as way more responsive and quicker on Wii U. Switch Shhhhmitch I am sticking with Wii U for a long time, possibly never jumping on board. Got pretty discouraged and Nintendo have so much to prove before getting me a new product when i never felt any balance of value on what I am in for at this stage. Plus, these short generations are ridiculous. Still lots of playtime left on Wii U for me, well beyond new Zelda, I have lots of leftovers and lots that I play for minutes and not often enough, including Wii and Wii U and VC eShop content = my Wii U is loaded with untouched gems. Hopefully enough to skip this entire (betting on short) console generation. @whodatninja and like I said a good looking 2017 indie line up doesn't hurt- in fact thank god for Nintendo that they executed that part of it effectively! As far as xenoblade goes, I would not be surprised at all if it slipped into 2018 bro! Hopefully we will see some new surprise game Switch announcements at E3! I just see lots of folks justifying not being able to afford the newer, better machine. I've got both versions and the Wii U one is staying in the wrapper to make a few quid in the future. Couldn't go back now. Loving the Wii U version. I gotta say I am curious at how the gamepad would've been use if the game had stayed a Wii U exclusive. Except that everything we know about Switch says it is distinctly more powerful than Wii U. You're using a game at the end of one systems life but the start of anothers systems life, and two games that aren't out yet, to make your comparison. So basically there is no difference between the Switch & the Wii U version, its just resolution in console mode Switch is 900p towards Wii U's 720p. And both drops frame-rates down to 20fps but portable mode is a lot more smoother frame-rate wise, making it the best version to play on. Hopefully Nintendo patches the docked mode asap, it disappointing really that there is no extra graphical improvement on a new console. So basically, do you want to spend $60 or $360 for Breath of the Wild? @Captain_Gonru I've been definitely doing the meandering. Exploring, looking for shrines, hunting, cooking, training horses, having fun... I only move on with the story quests when I start getting bored and can't find anything to do without moving to a new area. I suppose I could move on to new areas anyway since this game doesn't care where you go, but a little story mixed in with the rest is just how I like it. I mean, performance does matter. Beyond that, I'm not too worried about which looks better. But the Switch version performs much better when portable and somewhat better with increased fidelity when docked. The Wii U version performs worse at later areas than what is being shown here. I also said I don't like how the Wii U version requires the Gamepad at parts. I'm not arguing about minor differences, I'm elaborating on the differences between both versions that are not highlighted by Digital Foundry, for instance the Gamepad thing may seem minor to some but is a pretty big deal to me. I don't really care which version you choose. I just don't get why you are so condenscending to people who choose the Wii U version. BotW is a materpiece whether on the switch or wii u. No reason for flaming. @cleveland124 Doesn't matter what he says, someday the Wii U version will trounce the NS version with a solid 60 FPS, once Cemu support gets that far. @H_Hunter The final review score is commonly being dropped to closer to 9/10 on tech sites that are reviewing BotW, due to the minor technical issues, such as performance in the NS version being lesser when docked (locked @ 900p) than when portable (locked @ 720p). (The 1.1 patch does help with that on the NS version, though I suspect future patches are forthcoming.) It's mostly just the gaming sites that don't have any significant testing standards which are giving out 10/10's. Critical standards for gaming publications today are lower than they used to be 12-20 years ago. First of all this game is excellent! Thoroughly enjoying the experience on WIIU. Secondly, BOOYAH! This is exactly what I said would happen. The experience is the SAME for both systems. Nintendo and the review sites have been coy about the WIIU version and this is why. I'll "switch" later this year. Earlier if Xenoblade 2 releases this summer. I intend to get this game on the Wii U at some point after I finally beat Twilight Princess HD. Not going to get a Switch for awhile. Too many good games are still coming to the 3DS, and the Xbox One is also loaded with tons of awesome games like Tekken 7, Injustice 2, etc. Good to see there is little difference, which raises serious questions on how powerful the Switch really is. If anything, it reminds me of the jump from the Gamecube and the Wii when it came to Twilight Princess. The Wii for all intents was slightly more powerful, but it was not a huge jump. @DanteSolablood I understand what you are saying, but seeing the Wii U version of Breath of the Wild shoved into a corner, while the Switch version gets all the press and the special editions is a major slap in the face for one major reason. 2015 and 2016 featured the worst lineups of games I have ever seen on a Nintendo console(or any console for that matter) with garbage game after garbage game trotted out by Nintendo or promising games(looking at you Star Fox Zero) that were ruined by Nintendo's obsession with taking proven control schemes and ruining it with crappy gimmicks. And all the while, the 3DS, PS4, and Xbox One enjoyed stellar lineups. So, I am bitter that BOTW got delayed for three or four years while Nintendo trotted out garage like Animal Crossing: Amiibo Festival, a Mario Tennis game that lacked features that were in a 3DS game that came out a couple of years eariler, and watching while every other system on the market for great third-party support. So am I bitter? Hell yes, because after years of crappy games, no third-party support, and Nintendo doing everything besides saving the Wii U, we finally got BOTW as an afterthought while the Switch version gets the fancy editions. And this is after Nintendo dangled BOTW as a carrot to make Wii U owners feel better. Alshain01 writes: "So basically, do you want to spend $60 or $360 for Breath of the Wild?" No, it's do I want to spend $60 to play it on an EOL machine, or do I want to spend $60 to play it on the new machine (and its future siblings). I don't have a Switch yet but bought the Special Edition for Switch. To play, I also got myself a copy of the Wii U version. Also paid for the DLC and bought all the Amiibos. Prior to that, I bought Twilight Princess in order to upgrade the Wolf Link Amiibo... so I've already spent over $300 on BotW, even without buying a Switch. @PlywoodStick LOL, obviously I was referring to consoles. I know PC's can do just about anything provided you have the right rig. People keep mentioning that the Switch has more "colour depth". Yes it does, technically it supports 10 bit 4:2:2 as opposed to 8 bit 4:2:0. In theory, this is the difference between 16 million colours, and around a billion. However... most TVs don't support that many unique colours, and I'm pretty certain the basic 720p 6" screen on the Switch doesn't either. And even if they did, the vast majority of human beings can't tell the difference between that many colours. Many people think they can, but give a double blind test and they actually can't. To compound this even more, this game uses a cell shaded rendering to purposefully limit the colour pallet to only a few thousand colours max. TL,DR: the system's capacity to render more colours on some specific screens does not make the blindest bit of difference to this particular game. And if it did, you wouldn't be able to tell anyway. @Yasume you mean no reason for you to get one. The future of the Switch is still uncertain at this point. It has no other games that I want. The Wii U version of BOTW is good enough for me. I noticed a few frame rate issues at the first stable and Kakiro Village but still a great game. For the hardware given, BotW performs pretty well. With the amount of interactive foliage, atmospheric effects dust / mist clouds, leafs ect and considering its draw distance, it does a well enough job in my book. Its a way too ambitious game for its target system and a mere port on the other. And since they are still working on it at least till winter (DLC content) im pretty sure that we will see a few patches here and there over time. For the time being, im ok with its performance. Ive played worse. If anyone wants to experiment with games plagued by frame losses and you have a 360 lying around, try to get a copy of the Warriors Orochi 1/2 ports for it. Skyrim on ps3 says hello. Genuinely can't see any difference. @Yasume unless you want the game on a portable machine that looks better than the Wii u version and even better when docked. And then the ability to switch to Fast RMX, Snipperclips, Bomberman, Metal Slug 3, 1 2 Switch etc for multiplayer fun. im i the only one, that enjoys playing this game? even with the FPS drops. @Oscarzxn Their videos get posted on Sonygaf often. It's to be expected. @DanteSolablood you're going to have to link to those buddy, because I follow multiple gaming sites and haven't seen a single one comparing it to X1. My younger brother has the wiiu version and i the switch. I saw some problems on WiiU wich i never had on switch. Riding a horse just stuck on wiiu. Not happened at the switch. On switch the background is much clearer and cleaner. And the sound effect beautiful. Altho the switch is the more superior one you wont notice it when playing the WiiU version. For me switch all the way taking my games everywhere. Just love it. This game would've looked gorgeous on PS4. Nintendo, please become third-party. Your consoles are lacking. Been playing this game on my switch portable and on tv. The experience is bliss. This is just art. @Al_Godoy The PS4 is garbage compared to a decent PC - they should stick to making TV's. The PS4 is holding back PC games with its limited performance and memory, meaning we get lower resolution textures than we should, even though they're much higher resolution than on PS4. At least Nintendo don't really hold back other formats with their low specs, unlike Sony. Yeah, yeah, yeah. Both games are good. The only difference is the Switch is portable. Which makes it better. Duh and Duh. @MSVT You and me both I don't know why I love my Wii - U so much and I have more games on this console than any other I have ever owned. I only have time to invest 2 - 6 hours a week on average to play games so I literally have enough games to last me many years if other consoles like the Switch aren't to my liking. Just like you I'm skipping Switch all together mainly because I invested way too much money on Wii - U and no way am I paying over 500 to 600 dollars by the time you get a new console and all the peripherals for a system that runs slightly better than what I currently have and could run any switch game I have seen with side by side comparisons. Sure it runs a little smoother on Switch but not enough of an upgrade to me to justify the price. In all honesty if i got a Switch I feel I would be doing one step forward and about 3 or steps backwards. Things I care about Switch doesn't have. Not backwards compatible. No Streaming Apps like Browser, Netflix and Hulu. Most people said they had browser issues and its slow well maybe your modem or router is slow then I have a NightHawk router used for online gaming although I don't game online It is very fast and I had no issues. A battery that lasts 2.5 hours to 3 hours when Mine for the Wii - U gives me 8 hours. I bought the upgraded battery. Also when your battery dies you have to ship it to nintendo and pay both ways and buy the new battery talk about expensive and inconvenient. Repackaged Wii - U ports that I mainly own and even if some new content no way would I pay full price allover again when I already own them. Only brand new first party game is Mario odyssey but honestly that could have ran on Wii - u. I have many more reasons but like you the Switch just doesn't appeal to me at all and I will happily stick with Wii - U. As a matter of fact I was so turned off by no pack in game and the nerve of making crap like 1 -2 switch and charging full price for that when I saw that trailer of milking cows and simulating counting balls. It encouraged me to get one more Wii - U in case my main one fails as a back up system because without any doubt I'm skipping Switch and will check out the next unveil. I just hope they keep at least giving us E-shop games beyond march and I will be happy and content because I still have a ton of Wii U and Wii games as well as e-shop games I have yet to play. I don't play all the time so a game takes me awhile to play or beat. @electrolite77 uh, it's much easier to justify not getting the Switch. It's called money. @SeriousSam this comment is so wrong it's silly. PS4 holding back PC gaming? That's absurd. On top of that i recently bought a Pro Controller (finally) and to have a real control method for me has made games like Pokken all new and much more payable to me. mario Odyssey will be tricky for me to not have... BUT do people honestly think they are going to release Switch exclusives for Super Smash (not another boring re-release!) or a new Mario Kart (same), and a new exclusive system specific Zelda will make it within the lifespan on a hit or miss new e-toy? I say "Prove it Nintendo", knock the price to much more reasonable and load the eShop up with full VC and new content and I will consider then. In the meantime any gaming money will be spent on used games and the remaining eshop games. I have brought it for the WiiU and I am glad for now and will wait on Splatoon 2 for getting the switch, hopefully my will power lasts that long. And yeah, until true HDR, qLED, IPS-NEO displays come out in a few years, increased color depth won't make a damn bit of difference on any machine, not even high end PC's. I bought the Wii U version. It is extremely good. Like BotW feels so different than almost every other 3d zelda. It feels like a 3d realization of the oracle games with a dash of Skyward Sword. With that said I do think that Nintendo Life downplayed the framerate issues. They're pretty bad for me and this is coming from someone who doesn't really care if a game runs at 30 or 60 fps for most games. BotW lags hard in forest areas and dense grass. It can get super frustrating trying to play when it does happen. It happened within 20 min of playing the game and almost every time I went into a dense forest. Great game buy my god that framerate needs some work. @Oat Pretty much every gaming site which has reviewed BotW has downplayed the framerate issues. How else would it get so many 10/10's instead of more 9/10's? People have underestimated the importance of mobility and being able to take this with you one the go. I did mean to put a winky face at the end of my last post. It's all in the eyes of the beholder though. It's easy to see frenzied justification going on in both ways. Having just played 2 hours of Zelda on a boring Night Shift (after stints on the toilet and in bed) the portability is priceless. That alone makes it the optimum version. "do people honestly think they are going to release Switch exclusives for Super Smash (not another boring re-release!) or a new Mario Kart (same), and a new exclusive system specific Zelda will make it within the lifespan". Yes. They'll do ports to get the engines running on Switch and sell the machine to non-Wii u owners then sequels will be easy. It's a hard dilemma for me. I don't own a Switch yet, but I'm interested in it. Problem is, as I'm sure many other people think too, 330 euros without a game is a bit pricey, and I'm not going to spend that kind of money for just one worthy game (which in turn adds 60 more euros to the amount), no matter if it's the best game ever. I own a Wii U and I'd like to give it its best game, for which we all have been waiting for so long, and I'm sure it's not a lesser version, but... if I get it for the Wii U, then I really don't need the Switch until Mario Odyssey comes, and even then... I would be taking away one of the best games of the new console in favor of the old one. The thing is... in August I'll become a father and portable systems will be my only way to play videogames for months. So I guess as time goes by I'll lean towards Switch version, and if I have to play the Wii U one... it has to be now. @SeriousSam Meanwhile indies & unfinished games thrive on the PC, thats all you need to know. The Switch is barely more powerful than the Wii U and not as powerful as the PS4. So what's the point? I'm sticking with the Wii U for now. Other than the frame rate drops, the Wii U version looks great! @electrolite77 Yup, any game that comes out for xbox,ps4 and switch i'll be buying the switch version just for that alone. Ok, maybe you will be correct. We won;t know that though for at least two years... keep that in mind. It takes what, almost a decade for new Zelda's? It takes what, almost 3 or 4 years for new Smash? Metroid and Retro have been no shows for several events in a row..... they had one game for Wii U era? It takes how long for mario Kart (a new one, not a re-issue, not a DLC pack sold as a whole new game)? Just point out that by the time they develop these games as NEW entries, this (switch) generation will be well underway. Granted, they still have all the stuff they held back from WiiU, Mario sports titles, for example... so they have filler but to say these games may not ever make it for Switch, is not that big of a stretch and worth asking before over spending on the latest toy. Maybe it will new IP's. Maybe fan service with f-zero, who knows? That is my point - promises kept them alive during Wii U and very verrrry few were followed through. Have got the Wii U version but maybe when I buy a Switch at a later point might get it on Switch then. @gatorboi352 Of course it is, you clearly know nothing of what you speak. Plenty of us own PC's that are multiple times as powerful as the PS4 yet every game is made with the limitations of the PS4 in mind. Try playing games in 4K on max quality and seeing how bad the textures look up close and how much VRAM you have to spare - then you will see what I mean. If these games were built from the ground up for decent PC's you wouldn't end up with huge amounts of VRAM going unused. @PlywoodStick I know right!? The only site that made a significant mention of the framerate issues was Easy Allies. Like I wouldn't care at all if Breath of the Wild ran at 60 fps and had dips because it's still playable. When it struggles to hit 30fps and the game feels choppy and unresponsive because of it, I can't help but get frustrated. It feels like a frustrating blemish on an otherwise fantastic game. What are your thoughts on the framerate if you've played it? @MetaSmasher is your disk scratched? @cleveland124 Now that another DF video has come out comparing the two versions can you read my above posts and still claim I'm flaming Wii U players? That's absurd and you know it. I was simply trying to illuminate some of the issues outside of this video so people could make an informed decision rather than happily settle on the Wii U version due to this misleading video. The Switch version over the course of the game performs much better and is completely playable the Wii U version performs so bad at times that it is harder cope with. It's not condescending, it's fact and I hope not too many Wii U players find the problems too troubling because beyond $60, I would hate to spend tens of hours before encountering issues that make me want to wait for a better version. I'm very happy with my Wii U version. Loved playing it on the big screen with both Pro Controller and the GamePad on Saturday night, and managed to enjoy about 45 minutes of it yesterday just on the GamePad with offscreen play; thought it still looked amazing TBH. Shame they didn't release a Zelda Wii U bundle with a themed GamePad like WindWaker or something like that just to give the console a great send off.